It’s hard to forget Dustin Hoffman’s rant in Wag The Dog about movie producers never getting the credit for nurturing a film to life. Fans love the actors and the director gets the applause at film premieres but nothing happens in movie-land without the money people. 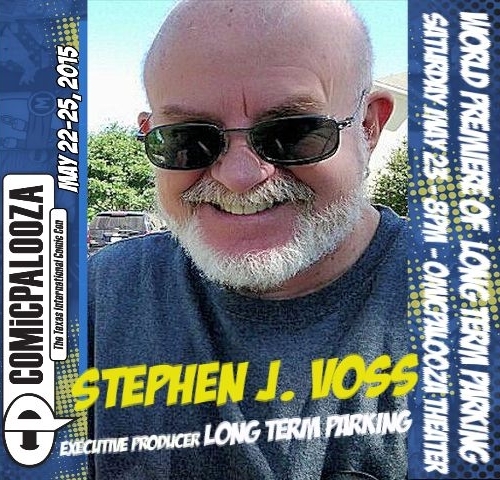 Enter Stephen J. Voss, the Executive Producer of Long Term Parking who along with fellow Executive Producers Philip Arthur Anderson, Charles Barnett and Betty Zuspann will be premiering the movie at ComicPalooza on May 23rd in Houston, Texas. I caught up with Voss for dinner at the original Ninfa’s when he drove up in his racing green Porsche. It’s the kind of car you’d expect a film producer to drive. RW: You’ve been working on Long Term Parking for several years. When you first read the novel what did you think?